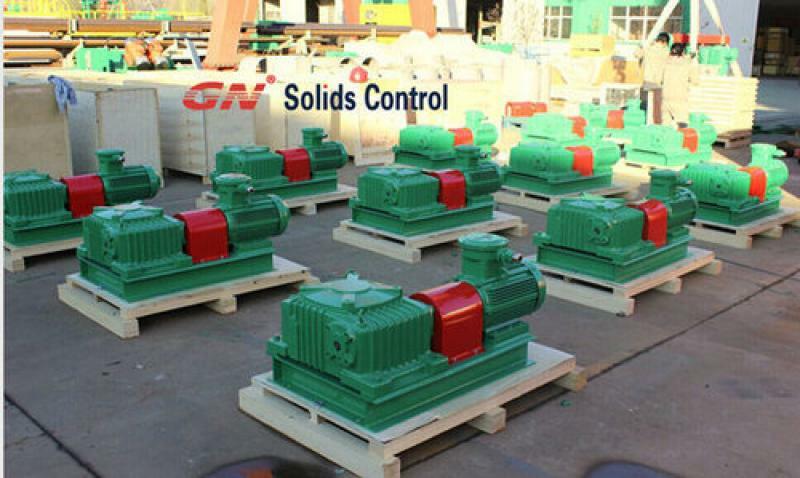 As we have talked last time, many world clients are coming to GN Solids Control Co for turnkey solutions on oil and gas industries. 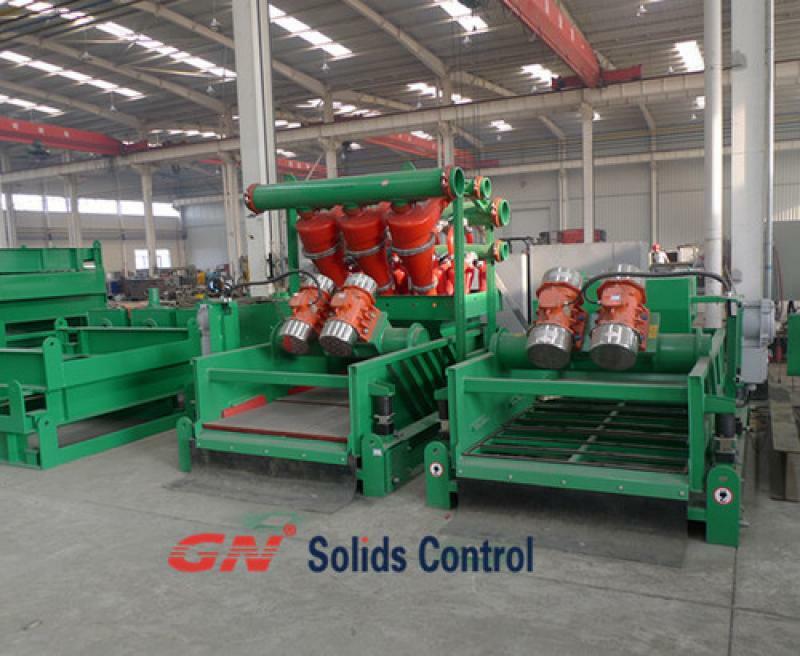 And GN is providing more and more drilling fluids control system for customers all over the world. Regarding to ZJ 70D (2000 HP) system, we talked that this mud recycling system has 8 tanks for solids control. Today, let’s give you the brief introduction from what we end last time. # 5 tank is a weighting and premixing tank. It has 2 separated compartments: one compartment is weighting compartment, with the volume of 52 m³ and effective volume 36.4 m³. 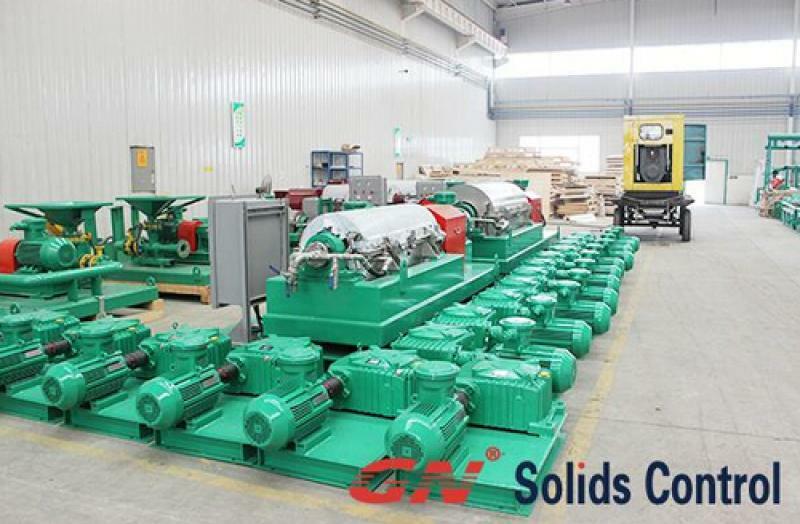 The other one is heavy mud compartment, whose volume is 34m³ and effective volume is 23.8 m³. On the top of this mud tank, it is equipped with 3 sets of mud agitator (15kw), 2 sets of mud guns. On the left end of this tank, it is mounted with 2 sets of weighting pumps (75kw). And on the bottom, the tank is fixed with 2 sets direct injection hoppers. This tank only has one compartment, which is used for supplying mud for centrifugal pumps. With the effective volume of 60.2 m³, this tank is fixed with 3 sets of mud agitator (15kw) and 2 sets of mud guns. For # 7 tank and # 8 tank, they are both storage tanks. And these two tanks are fixed with 3 sets of mud agitator (15kw) and 2 sets of mud guns. There are 1 set of mud agitator (15kw), 1 set of mud guns and 2 sets of feeding pumps mounted on this trip tank. The volume of this tank is 20 m³, while the effective volume is 14 m³.